We don’t know all that much about Deadpool 2 right now other than the fact that it’s happening, Josh Brolin has been working out like a madman to become Cable, and that it’s probably going to be just as bloody as the first. 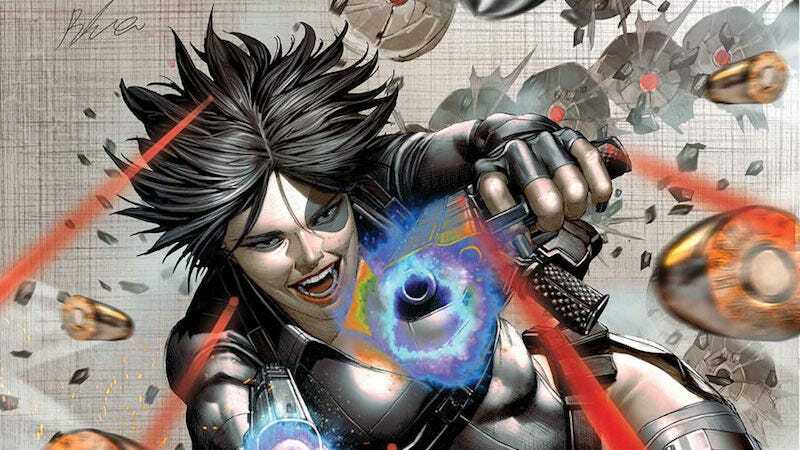 Today, though, Ryan Reynolds took to Twitter to give us our first look at Domino. And holy hell, Zazie Beetz is going to be a major badass in the film. While there were early rumors that Domino would be portrayed by Janelle Monae, Fox quickly quashed the rumors by announcing that Beetz would be stepping into the role. Forgoing the character’s signature alabaster skin, Deadpool 2's instead reimagined Domino as a black woman (thank you) with a twist out and some lowkey Misty Knight vibes. Note the red carpet Ms. Domino’s luxuriating on.